According to the 2017 DfT Annual Report for the ongoing LST trial, up to 32.9m vehicle kilometres and 28,000 tonnes of carbon dioxide emissions have been saved by just 0.5% of Britain’s HGVs using this extra two metres in length. Accident rates have also reduced: on a per-kilometre basis, compared with the average for all GB articulated HGVs, the LSTs have been involved in 90% fewer personal injury collisions while operating on urban roads and 72% fewer when on minor roads. 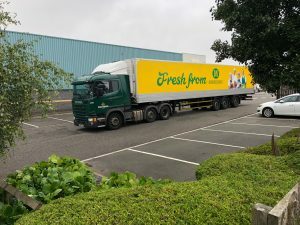 The trial, which started in 2012, allows articulated goods vehicles to use longer than usual trailers and now reports on the findings of 2,800 vehicles.